J.A. Faust Applied Digital Services and Technologies. In the business since the days of Commodore 64. Since then technology has evolved and so has the way that business presents itself to the world. To help businesses reach and influence their target audience the latest techniques from the social sciences are incorporated the marketing strategy to accomplish that goal. Mobile users surpassed desktop users around 2014 otherwise known as the tipping point. Since then the numbers of mobile users have continued to grow. According to the latest statistics, globally, mobile user represent approximately 77 percent of all internet users and that trend is expected to continue. In response to the change from desktop to mobile. 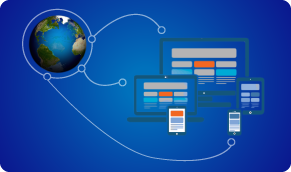 The web design strategy is to design from mobile to large screen. The advantage of using this strategy for developing websites is that it minimises bandwidth usage for the user and maximises visibility for your business. In addition to having high visibility on the web to sell your service or product, your equipment has to be in good working order and operating at it's optimum at all times in order to maximum the productivity of your equipment and employees. Problems can arise from your hardware, software and your network system whatever the problem is a solution has to be expediently found. As the old slogan goes; "Time is money". As a result of continuous professional development and research, solutions are found economically and quickly. The difference between a database and a spreadsheet is; A database is a combination of many different single spreadsheets tables each contain it's own data sets and unique identifier key whereas a spreadsheet consists of only one table. 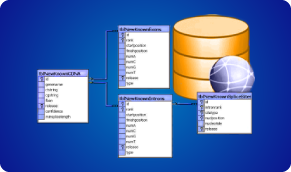 These datasets in the database are connected through the use of the table's unique identifier keys and as a result, relations are created between the different tables to provide you with the results you need. As a child and into adulthood I have always been interested in knowing and understanding how things work. To accomplish that end I have traversed many disciplines from the social sciences, the hard science and visual arts. The knowledge gain can be applied in many different areas. When we refer to marketing the target goal is how to persuade or influence potential customers to favour your service or product over someone else. Understanding principles of human psychology that govern human behaviour in decision making is the backbone that is used in developing a strategy which has the greatest chance of influencing the decision that people make. Web development is only one part of the marketing strategy. According to the latest statistics the majority of people now use mobile devices instead of their desktop to do their internet browsing, online purchases and so on. As a result of this change, my response has been to develop sites from mobile to large screen. Previously when large screens were the norm, the approach was from large screen to mobile. The problem with this approach can be best explained by using the following analogy, trying to include the same content of a large screen is like trying to pour a gallon of water into a six-ounce glass. The physics speaks for itself.